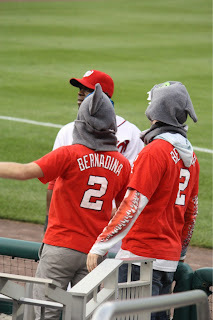 Well last night's game wasn't too good for the Nats (lost 3-0) or the Shark (0-4 with two strikeouts) but it was good for getting Shark pictures! 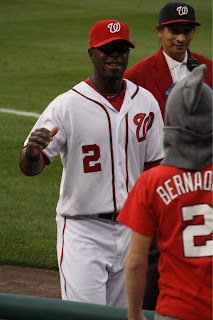 Right after this he touched Terry's Arm! Check out the Jaws on my sleeve! During the game, we ran into a huge Shark Fan, Brian! 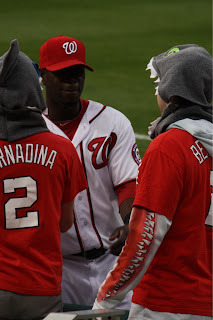 He was sitting a few rows ahead of us and came back to chat about The Shark during the game. We had an extra hood, so we let him keep it for the rest of the game! 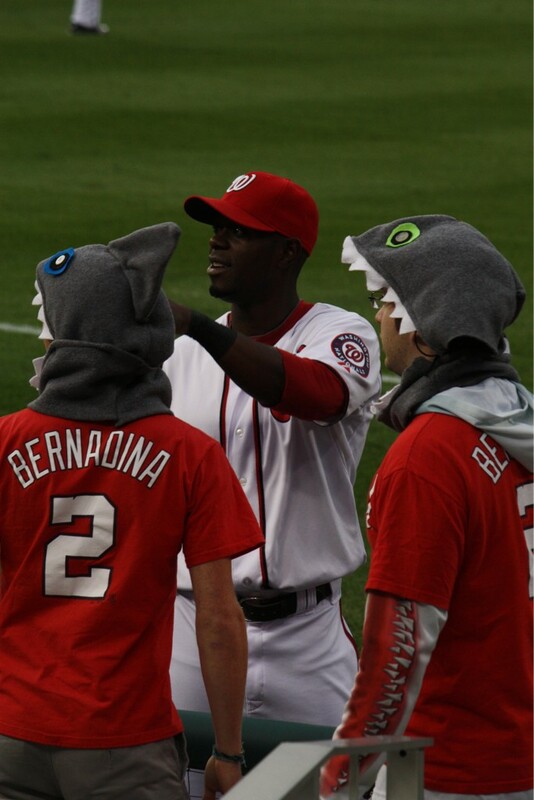 We love your Shark enthusiasm, Brian! 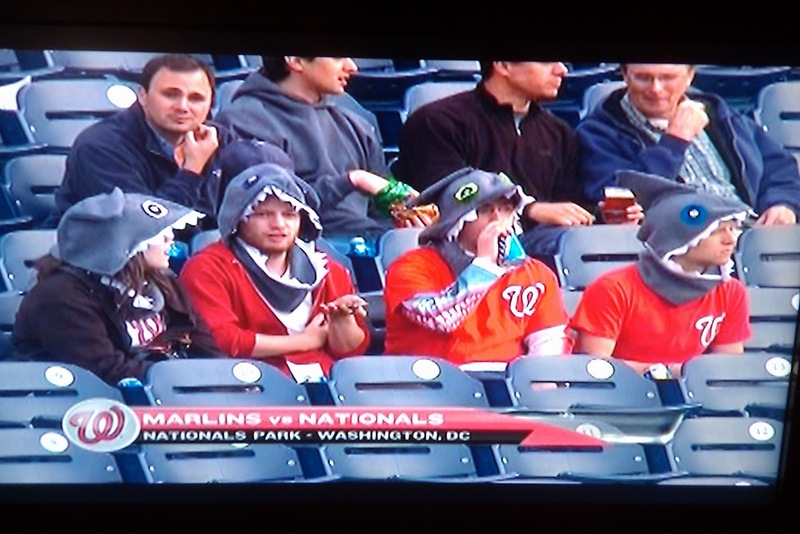 We were also finally on MASN last night! Here you can see us before the game. 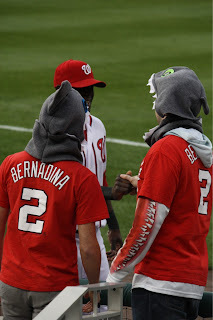 Terry is attentively looking at the dugout for the emergence of The Shark, I am and enjoying a beverage and Zac and Elizabeth are no doubt debating the decision to sit Mako Morse and Jayson Werth for Bernadina and Nix (or something like that). 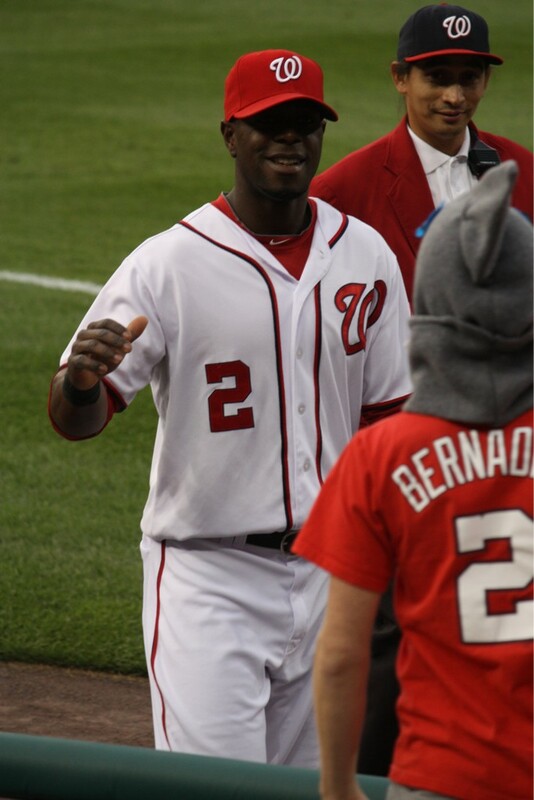 This is why I record Nats Talk! There wasn't much to celebrate last night, but the good news is Terry and I going to the game again tonight! And Stephen Strasburg is pitching! It's Terry's little cousin (remember her?) birthday and she is having a Shark themed party at Nats Park (maybe we'll make one of these cakes)! 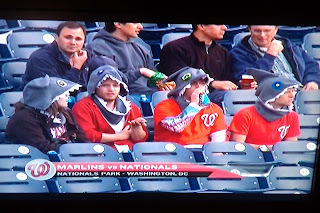 Look for little girls running around in Shark hoods in the upper deck tonight! The Shark is batting second and playing right field tonight and he surely won't disappoint the Shark Birthday Party!